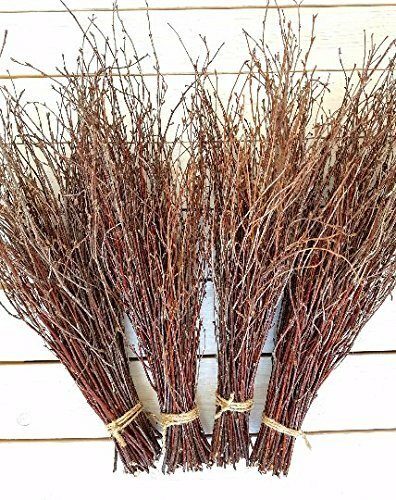 Tall, sleek Asian Willow sticks are dyed in a variety of colors and come with preserved botanicals that compliments the willow and can be used to give your arrangement a fuller look . They look fabulous on their own or accented with tall lotus stems in a tall flared or fluted vase. This arrangement looks great as a corner pieceor focal point in a room. 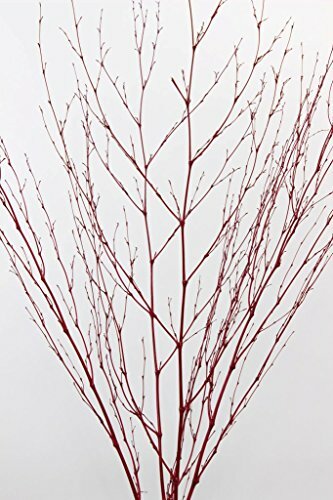 Asian Willow stems offered in Tall height (4.5-5 ft) or Medium height (3-3.5ft). 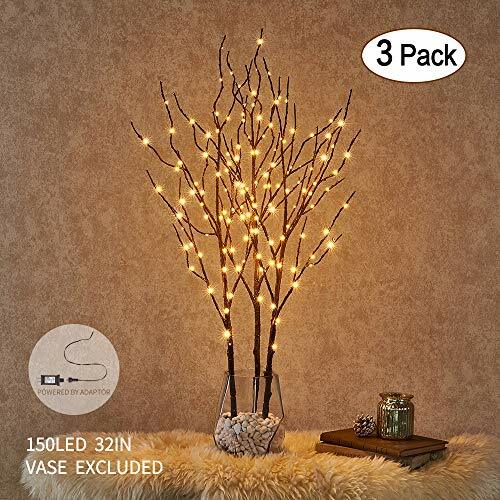 Upgraded: This twig has been upgraded with USB plug-in power option, together with 3 AA batteries (batteries are not included), and has been upgraded with premium package as picture. USB plug can plug into smart phone's charger, laptop's charger, USB wall charger, and any other USB charger that comes with 5V output to get powered. 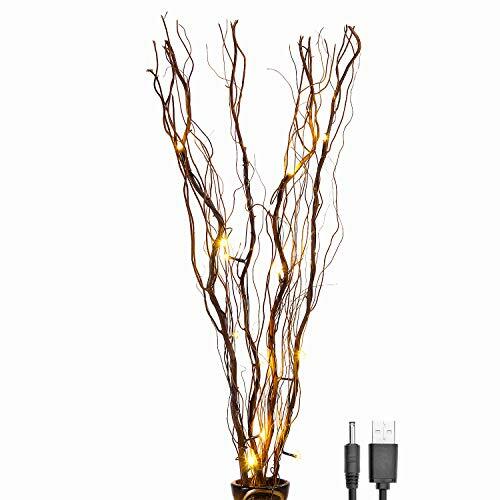 Features: This natural willow twig is 100% natural wood material, equipped with 16 warm white LED lights. Built-in timer with 6 hours on/18 hours off (not work when using USB Plug-in for power supply). 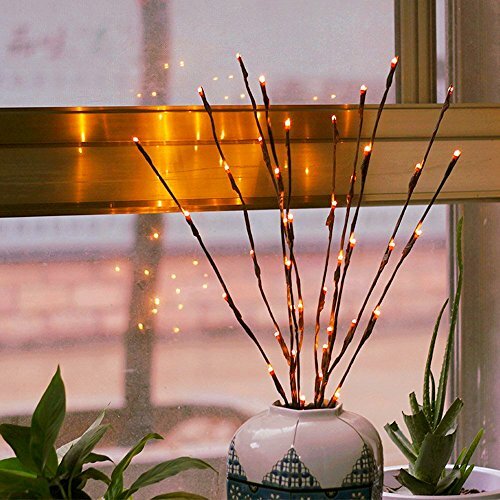 This item has multiples purposes decoration, such as night light for home decoration, shop window and bar decoration. 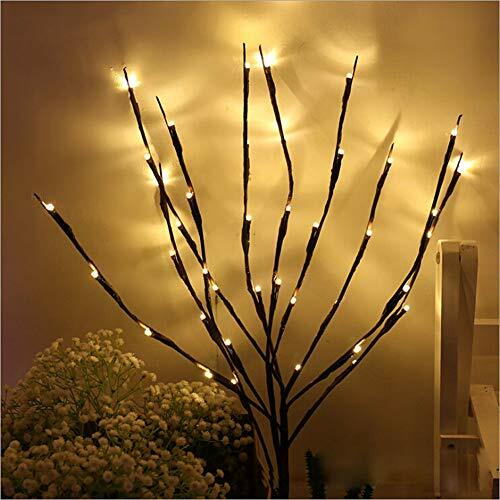 Dried natural twig branch with soft lights, bring you comfort and relaxation. Tips: As all twigs are 100 percent natural and dried, please treat it gently to avoid any twig broken. 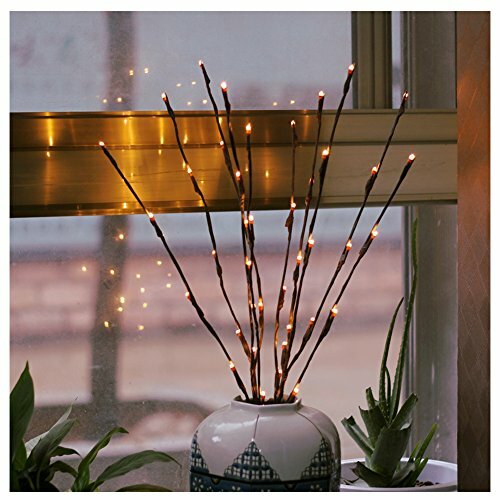 The product usually contains 4 branches, each branch contains 4 LED lamp beads,and there are 16 LED lights in total. Bamboo spray stems have several small lateral branches coming off of the larger stems. These stems look great by themselves in a floor vase or with one or two accent botanicals. Although the lengths and widths vary they are usually 3.5 to 4 ft tall and 12-15 inches wide from left to right. They are available in red, espresso black, burnt oak (orange brown), green, metallic gold and silver. Sold in a pack of 5 stems. 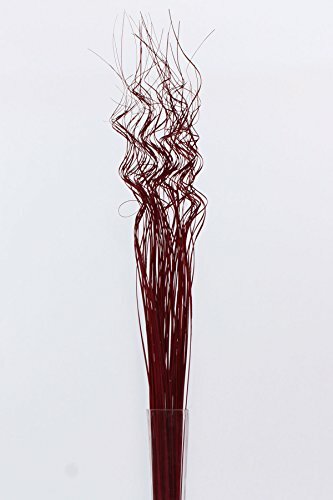 Curly Ting-Ting 3-3.5ft tall and is available in several colors: Natural, Green, brown, wine red and Burnt Oak. The bottom stems are straight and the tops have are very curly. These stems are used effectively to soften the effect of your design, especially if you are using pieces or materials that are straight or rigid. 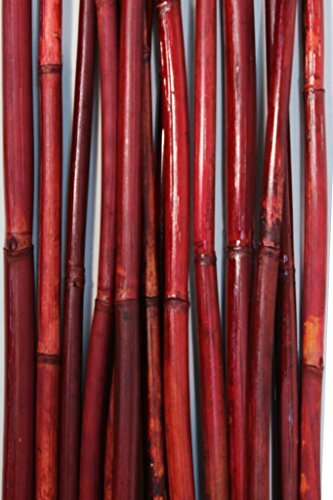 River canes are lightweight and decorative sticks that can be placed in vases and containers in your home. They are meant for indoor use and should not be placed outdoors in the elements.